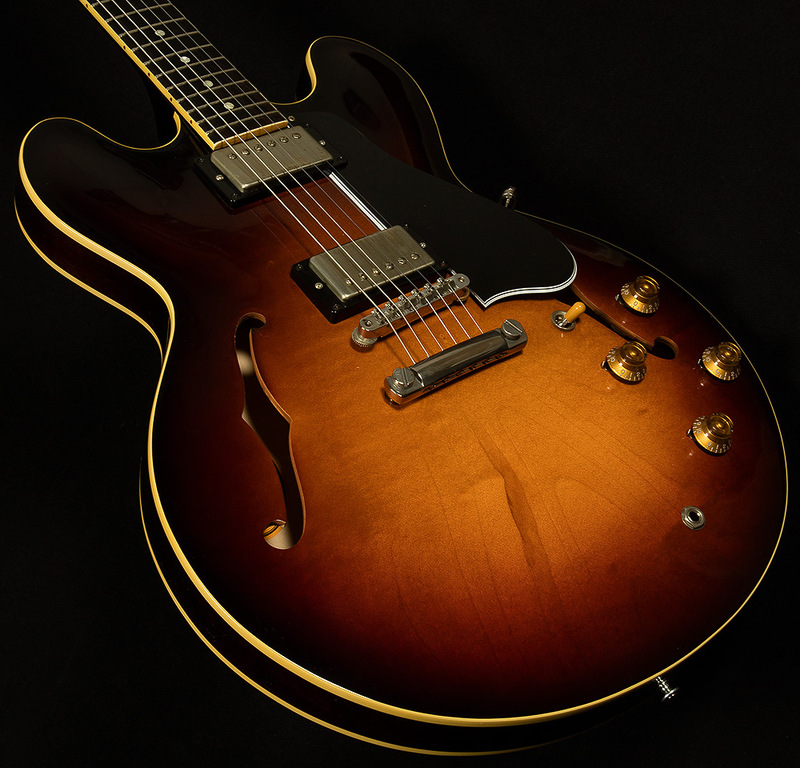 Excellent condition with no extra play wear, it looks fantastic! 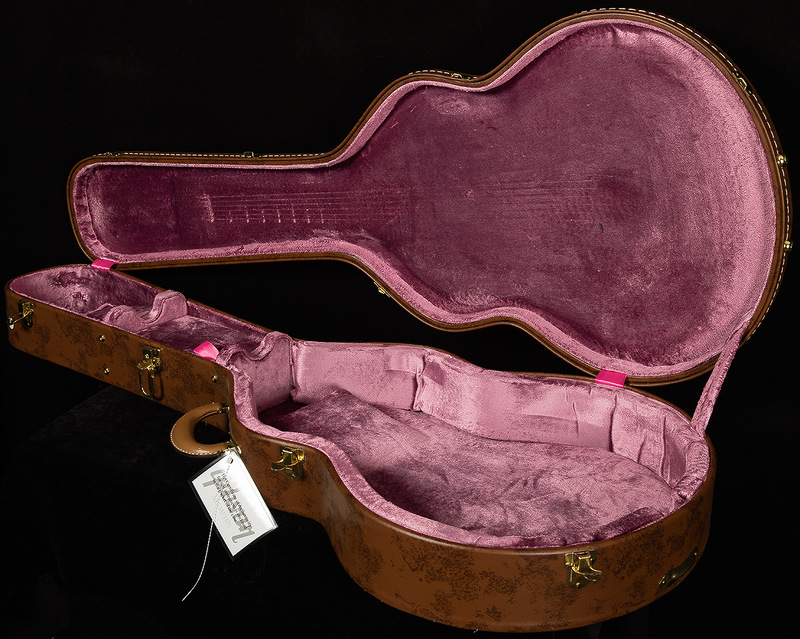 Includes the original brown hardshell case with pink interior and COA. 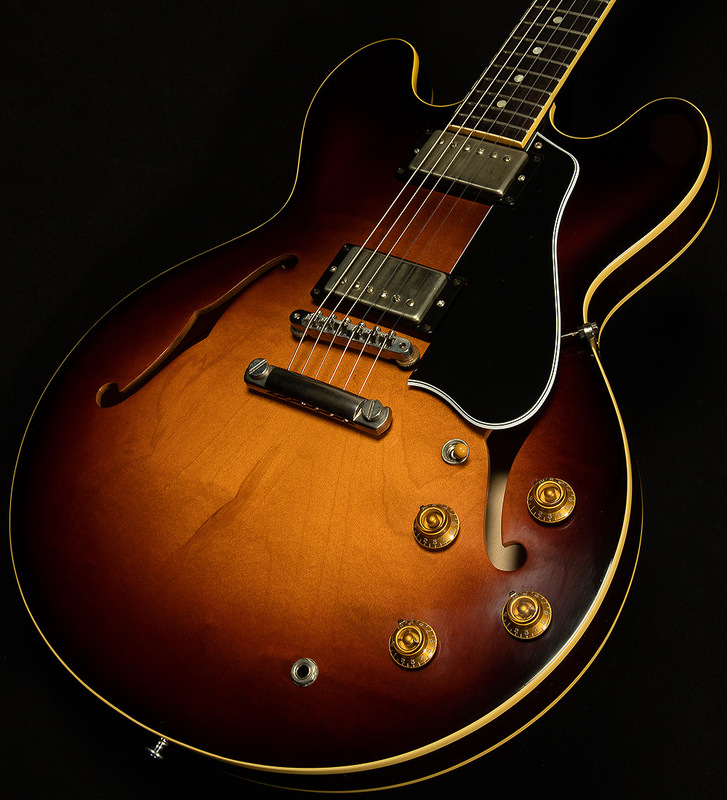 The ES-335 evolved quickly in its first few years and the 1959 ES-335TD represents the second stage of this seminal guitar. 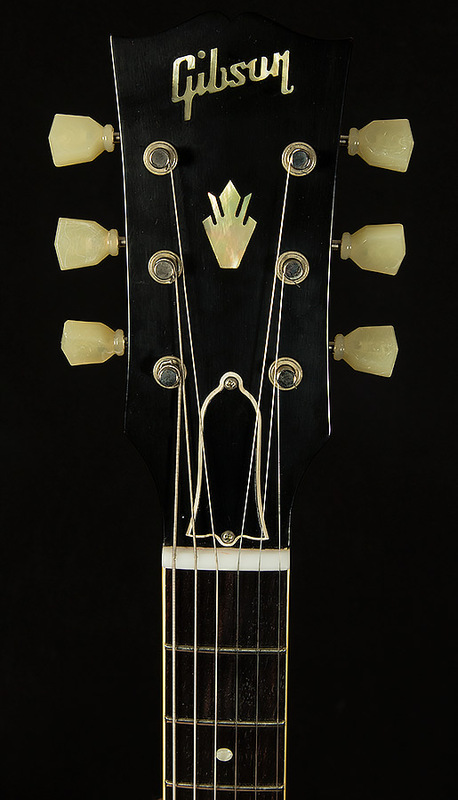 A bound fingerboard joins other historically correct details such as the correct "Mickey Mouse ears" body shape.